“The sensor and weapon ranges are getting longer so the modern battlespace covers bigger areas. To be able to cover that area in your tactical display you have to zoom out. It is a challenge to both get an overview of the battlespace and also get the level of detail that you need. WAD gives you that possibility,” says Jonas Hjelm, head of Saab business area Aeronautics. 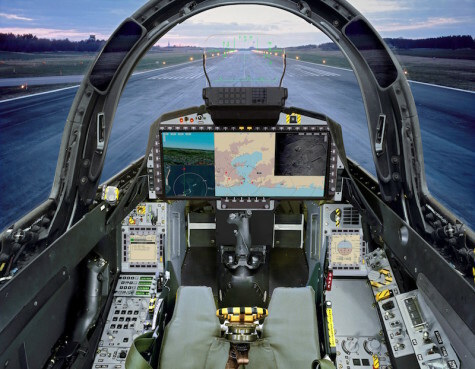 The WAD is developed by the Brazilian-based company AEL Sistemas as a part of the Brazilian Gripen technology transfer agreement. Using the state-of-the-art technology, Gripen E is designed to meet the demands of existing and future threats, while simultaneously meeting strict requirements for flight safety, reliability, training efficiency and low operating costs. The future battlespace will be very demanding. Fighter aircraft will need to analyse and handle high volumes of data, supporting the pilot’s ability to select, launch and guide weapons in perfect coordination with other team members – well before the adversary. This is where Gripen E dominates. A key differentiator for Gripen E is its availability and adaptability. The aircraft has the lowest Life Cycle Cost and small logistic footprint.